The following is a translation of an article originally featured in Spanish on the ACOGUATE blog. 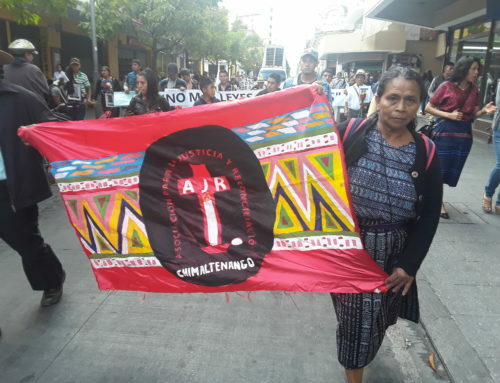 NISGUA is a member of ACOGUATE, a coalition of North American and European solidarity committees who provide international accompaniment to threatened Guatemalan human rights defenders. 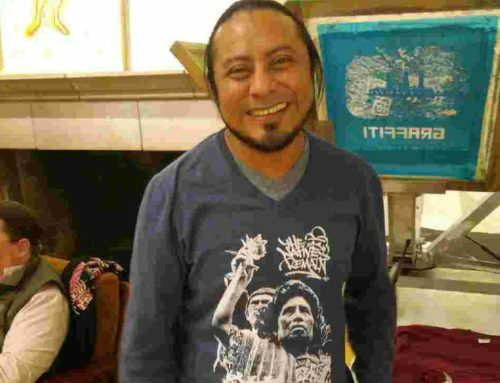 NISGUA observed the 2011 Dos Erres trial and continues to provide accompaniment to FAMDEGUA, one of the plaintiffs in the case. Follow us on Twitter for regular updates. 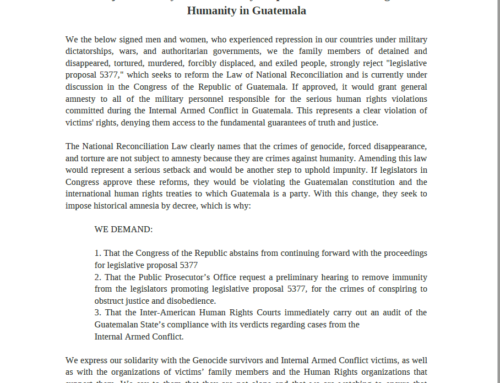 The Guatemalan government has yet to comply with their responsibility to prosecute all of the intellectual and material authors of the massacre. In August 2016, a new trial began against Santos López Alonso, one of the military officers who participated in the massacre and then kidnapped one of the surviving children. The trial against Efraín Ríos Montt, who at the time of the massacre was head of state, also continues. The massacre was carried 34 years ago – between December 6-8, 1982 – in the community of Las Dos Erres, 12 kilometers from Las Cruces, Petén. During exhumations carried out in 1994 and 1995 by anthropologists from Argentina, the bones of 223 people were exhumed. Eighty-eight were children under the age of 14, 25 were youth, 36 were women, and 75 were men. The remains found at the bottom of the largest clandestine grave – a community well – belonged to a newborn. For more background to the Dos Erres massacre, see below. The most recently accused in the case is Santos López Alonso, who was captured in the United States and deported back to Guatemala on August 10, 2016. He was indicted on charges of crimes against humanity, murder, and the alteration of the natural identify of a minor, Ramiro Antonio Osorio Cristales. López Alonso testified before the courts that he was part of the kaibil patrol that entered the community of Dos Erres and that he guarded the church where the women and children were held before being massacred. He believes himself to be innocent. Since August 2016, he has been held in pre-trial detention where he will await the opening of his public trial in January 2017. This massacre is recognized at a national level and several verdicts have been rendered. Among other evidence, these guilty verdicts were based on the testimonies of two witnesses: a child who was able to flee from the massacre and another who was kidnapped by the former Kaibil Santos López Alonso. Kaibiles – Guatemalan special forces – who were part of the operation in Dos Erres have collaborated with prosecutors to uncover the truth about the massacre. Even with this collaboration, it took almost 30 years for a Guatemalan court to find guilty some of the people responsible. 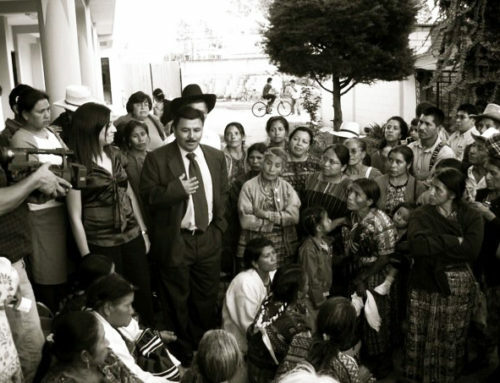 On November 24, 2009, the Inter-American Court of Human Rights rendered a verdict on the case and found the Guatemalan state guilty of violating the rights of the people of Dos Erres. The Court ordered the State to investigate, prosecute, and find guilty the material and intellectual authors of the massacre. According to Lawyer Edgar Peréz, the case of Dos Erres is a historic one; it was the first case at a national level in which former military officers – including several high-ranking ones – were found guilty for a massacre committed during the internal armed conflict. Nevertheless, these sentences only partially comply with the reinstatement of justice, given that to date, five material authors have been found guilty, while 14 more have yet to stand trial. Despite previous verdicts, the entire judicial process will need to be repeated to achieve a guilty verdict against Santos López Alonso and the other material authors who are currently fugitives or are in prison in other countries. “Criminal responsibility is individual,” said Judge Claudette Domínguez, the presiding judge over Guatemala’s High-Risk Court “A” who heard the first declarations in the recently-opened case. The kaibiles who testified against their peers gave their testimonies as part of the process of discovery, [and as such, will not have to repeat their testimonies]. Other witnesses on the other hand, including family members, will have to repeat their testimony for each new trial; for many, recounting their testimonies means reliving the traumatic events. Even so, some of the families of the victims attend the trials to observe the hearings and be physically present for important, albeit painful, moments. In addition to the trial against the former Kaibil López Alonso, judicial proceedings against former Dictator Efraín Ríos Montt continue. 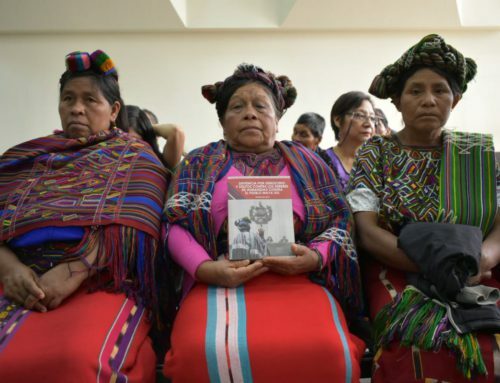 The Inter-American Court of Human Rights ordered the State of Guatemala to not only prosecute the material authors, but also prosecute the intellectual authors of the scorched earth policies carried out under Montt’s de facto government. While he has been indicted since 2012 on charges related to the Dos Erres massacre, the trial has never advanced. On November 16, 2016, Ríos Montt’s defense lawyers asked for the prosecution against him to cease given his advanced age and dementia. Judge Claudette Domínguez denied this petition, but ruled that due to his state of health, he is unfit to stand trial. On November 30, 2016, the Public Prosecutor’s Human Rights Office asked that he be prosecuted with special security protocols – behind closed doors and represented by his legal guardian Zury Mayté Ríos Sosa or his lawyers. It is unclear when that decision will be made. During the night of December 5, 1982, the Guatemalan military blocked all of the access points to Dos Erres and a patrol unit full of kaibil special forces entered the area. According to one of the direct witnesses and former kaibil, the military was disguised as guerilla fighters so that the population would think it was insurgent forces that were committing the atrocities. Their goal was to recover the 20 rifles that the [guerilla forces] FAR – Fuerzas Armadas Rebeldes – had allegedly robbed during a previous violent encounter. According to Edgar Peréz, lawyer to plaintiff organizations FAMDEGUA, the operation was characterized as being a “punishment massacre,” since the military suspected that the population had collaborated with the guerrilla. According to the testimony of one of the kaibiles, the day before they arrived in Dos Erres, the soldiers received the order to “register the community, kill the people, and recover (…) the lost rifles.” When the kaibiles left the area on December 8, 1982, they still did not have information about the rifles. But they left the bodies of all of the population in clandestine graves. On the morning of December 6, the kaibiles grouped together the residents of Dos Erres in two places in the community: the men in the school and the women and children in the church. Over the course of two days, they tortured the men and sexually assaulted many of the women and children. When the population of Dos Erres could not give any information about the lost rifles, the military began to kill the residents, beginning with the youngest community members. Some were killed with blows to the head, some shot, and those that did not die immediately, were buried alive. For more information on the 2011 trial that convicted three ex-kaibiles adn a former military commissioner for crimes against humanity, click here.